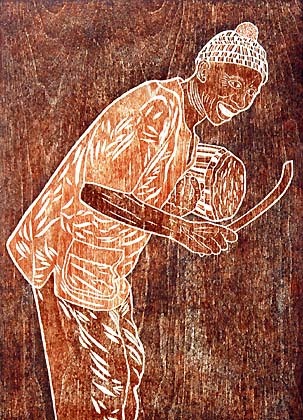 A West African musician playing the talking drum, printed on a Japanese printing paper. Edition size: 22. Zero Artist Proofs. 12.50" x 15"